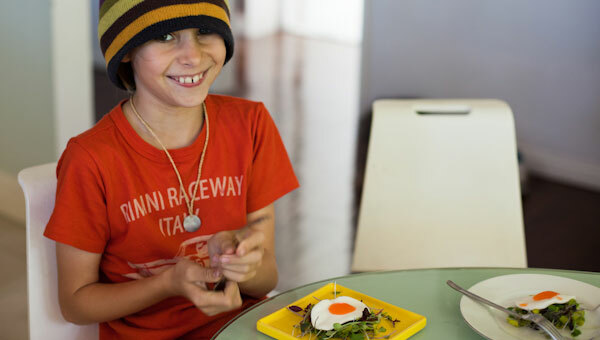 Today’s breakfast was easy like Sunday morning – I mean seriously so easy peasy anyone could put this together, even a kid – just two ingredients – eggs and micro greens. The hardest part was sourcing really fresh organic eggs that had just the right shade of orange/yellow yolk. The Hollywood Farmer’s market just didn’t have any fresh enough today. The rest was a breeze and we all had so much fun in the kitchen. Our diet has become extremely healthy recently – with lots of fresh fruit and veggies at every meal. 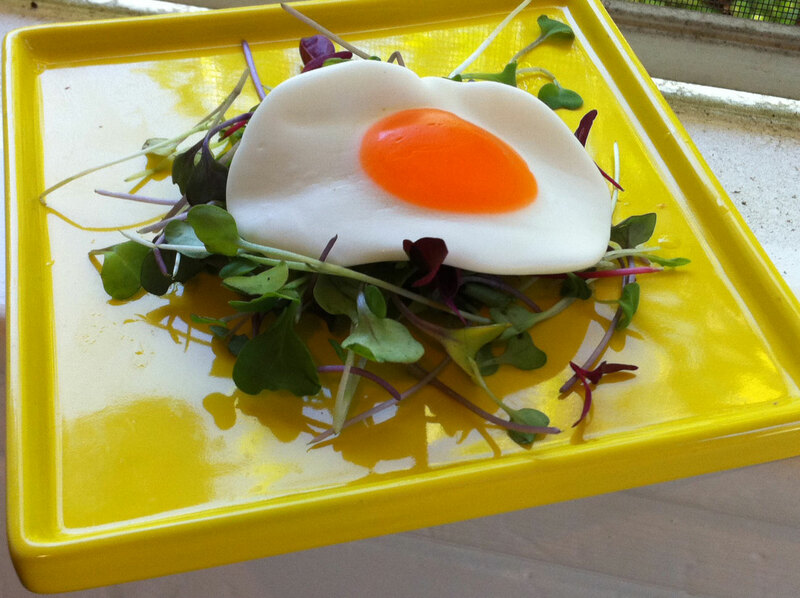 Today we used our go to fav from Trader Joes – organic micro greens. OMG – seriously obsessed. Perhaps I overcooked the eggs slightly as everyone found them a little chewy. However, still the same fantastic high protein, low calorie, gluten free satisfying breakfast. In fact we all agreed that this was so good we could have eaten it again for lunch, tea and even supper. 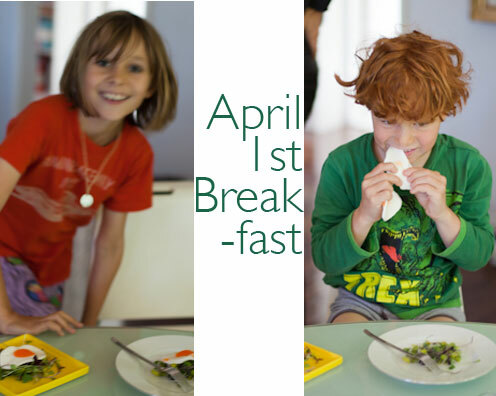 We are huge fans of breakfast for dinner in our house. Playful, silly + fabulous!! Breakfast in the LL house must be a true treat! Simple and perfect! A great and healthy way to start the day. Thanks for sharing! it’s is always so much healthier when we don’t take everything so seriously! cute post, Lucy! such a fun post, lucy! thanks for sharing.